Welcome to Pinterest Pick 3 Linky! It's serious crunch time with school starting for many of us! Of course my Pins for this month are all back to school inspired! Target had the best plastic letter size baskets in the dollar section. They were so much cheaper than the expensive ones I saw online, but they were the wrong color! (My classroom colors are the same colors as the picture below.) I ended up finding the posts above and below, so with the help of my hubby, they got a little makeover. Check out the directions on these pins, and then you can see the idea we he came up with for drying them here. This dish drying rack turned organizer is genius! And with my (husband's) spray paint skills, I can paint this to match my decor! 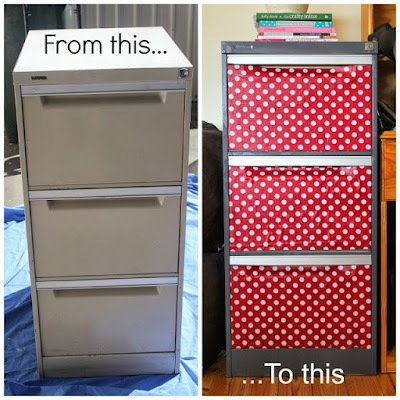 My dependable parent volunteer will absolutely love this to store her binders and other supplies! I wish I would have made the time over the summer to complete this project! It's simply fabric and Mod Podge! I have heard of people using squares of scrapbook paper too. I am going to have to try this one of these days! I always end up covering my file cabinet with posters, but this would be so much nicer! 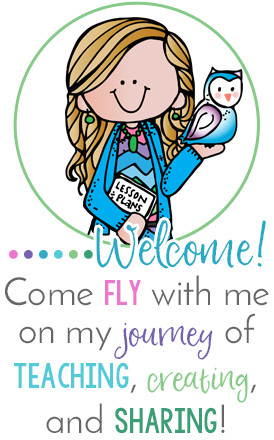 I would love to have you follow me on Pinterest! Click here if you would like to follow me! Now it's your turn! We would love for you to link up and share your top three Pinterest Pins for August! This linky is hosted on the third of each month- so come join in on the fun! Download the graphics below to add to your post and link up! I didn't know plastic could be spray painted. Your plastic drawers look so bright and cheery. I'm sure they're going to bring nice color to your classroom. I have a dish rack folder holder, also. It never dawned on me to paint it. Thank you for your great ideas. Wishing you a fabulous school year. Will you come decorate my classroom? Love all your ideas! I didn't know plastic could be painted either. I saw people painting their filing cabinets, but that's a NoNo at our school. So, maybe I can paint/coordinate my personal plastic items. Thanks for the tip! We aren't allowed to change any school owned furniture. So, I just have to look longingly at the beautified filiing cabinets. Love the dish rack organizer idea. Pinned! I had seen the spray painted baskets on Pinterest too but was always skeptical that it would actually work. Now I can't wait to try it out. I will be looking for my husband's assistance as well. I would love to see yours when you are finished, Kim! Pinterest is always my go to for inspiration! Thank you for stopping by! I love your ideas! I bet your classroom looks amazing! Oh, Julie, I have struggled with my room this year! It's a new room, and oddly shaped, which has made decorating difficult!! Hopefully the kids like it though! I went spray paint crazy last summer when I changed my color theme! I love the dish drying rack idea, I always have folders all over my desk. P.S I LOVE your pintrest boards! I can see why, Breanna! It's so easy! 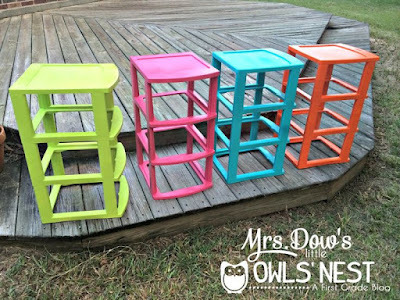 I have to get one of those dish drying racks and spray paint it teal! I love Pinterest! I found my first teacher blog on there a few years ago- I didn't even know they existed! Thank you so much for stopping by! Thank you for hosting another wonderful Pick 3! I love your very crafty ideas this month! All perfect for back to school! Thanks again!